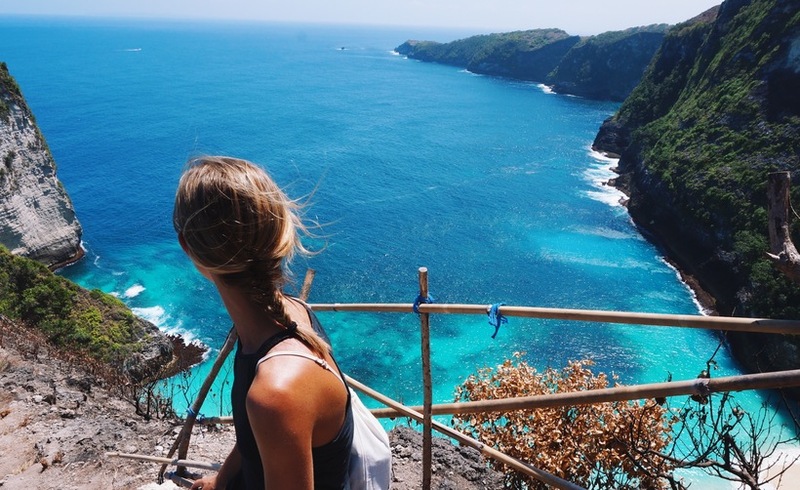 At 25 and exactly two years into my professional career, I decided to quit a job I loved in my hometown to spend a month in Bali. I had decided to move to a new city with or without a job, and this month would be my long layover. As content as I had been living close to family and working in what had been my dream job right out of college, hitting that quarter-century mark seemed to transport me to a 50-year-old version of myself, where I was looking back, considering the opportunities I could have created with more time and freedom. I thought about how many high achievers seemed to have reached their goals but missed their lives in the process. My personal role models were the ones who had found a way to work hard and smart toward what they wanted while building up a library of interesting stories along the way. Those I looked up to most could talk about the company they’d built while also able to rehash stories about running with the bulls or getting a palm reading from a guru in India. This concept was not lost on my peers. But for most, it was in equal parts romantic and bordering insanity. Armed with the knowledge that competition for jobs in your twenties is fierce, taking a break could mean falling behind. So I’m not here to tell you it’s not a risk, but I will tell you it’s not impossible. And it could very well change your life for the better. So, for those of you reading this in secret as your boss sits just inches away, looking for ways to justify living out this dream of stopping to see the world, here are some ways to make it happen. It is truly amazing what happens when you cut off your Uber and Pure Barre accounts and put a hold on happy hours and Starbucks runs. When you have a job and a steady income, even if you’re trying to save, it’s so easy to cave to peer pressure and order that $13 cocktail. Breaking those habits suddenly becomes possible once you realize that $13 cocktail will get you a badass room near the beach in Indonesia. Which leads me to my next point – you can travel cheap. I was comforted when I broke down my month’s rent and realized what I was paying per night on my apartment back home could easily afford me 30 nights of semi-decent Airbnbs in Bali. We’re all leading busy lives, and too many of us misinterpret busyness with success. For many of us, while trapped in this state of busyness, we tell ourselves things are enough. I like my job enough. I like this city enough. I am challenged enough. I am happy enough. As liberating and Kerouac-esque as it sounds to quit and travel on a whim, it’s also not that realistic. It helps to have at least a loose idea of what your goal is for traveling, and to know what you want if and when you come back. If you’re jetting off to become Instagram famous, invest in some good photo-editing software and figure out what it’ll take. If you want to travel for a month and come back and land an awesome job at a creative agency, make as many contacts as you can before you leave and beef up your resume while all of the awesome things you’ve accomplished are still fresh in your mind. Meeting the right people and sharing your goals before you set off will help them remember you that way after you’ve spent a stint backpacking through Asia. Also as a disclaimer, traveling to escape your life and problems is not a justified goal. You will wake up as the same person with the same unresolved issues even if you’re waking up near a waterfall in the middle of a rainforest. Maya Angelou famously said, “I’ve learned that you can tell a lot about a person by the way s/he handles these three things: a rainy day, lost luggage, and tangled Christmas tree lights.” I would add: sleeping without air conditioning, getting a hundred mosquito bites and packing the wrong shoes. All of which you will likely experience while traveling – except maybe the Christmas lights, but hey it could happen. If you don’t let your guard down and let things flow as they will, you’ll hate traveling. Some of the best experiences are those where you are completely out of your element, surrounded by people whose day-to-day routines are unrecognizable from your own. Locals might laugh at you, and you might accidentally offend someone based on cultural norms, but if you can learn to laugh at yourself and surrender to the unknown, you’ll come out of it with your eyes and heart wide open. Being a tourist and opening yourself up to all of the things you don’t know about the world is one of the best gifts you can give yourself. Being laughed at, scared and eventually empowered are skills you can use to your advantage no matter where you land after traveling. Understanding people and the fact that all cultures are different can help expand your negotiation skills and empathy for why people are the way they are. Even though I took a break from the office, I honed some professional and life skills that I don’t think would have clicked from behind a desk. I probably won’t mention the time I set off with hardly any travel plans in an interview, but there are many stories and lessons I picked up along the way that made me more adaptable, strong willed and level headed. You will always have a list of excuses to justify staying put and sticking to your routine. But for those of you who are curious to understand how different people live or just want to see the sun rise from the other hemisphere, don’t let fear outweigh the hope. Settling for less than what you want, especially in your twenties, when you have no mortgage or mouths to feed, will only lead to regrets later. The older you get the more excuses you will find. So, if you’re reading this thinking, “if not now, when?” know you’re not alone. People with less money and more prestigious jobs than you have made it happen, and many have come back with a better sense of their goals and a greater understanding of the cultures or people that were once misunderstood. It’s not necessarily the destination that matters, it’s about the life you live and lessons you learn along the way. So, if the timing feels right, book the flight. Invest in some identity capitol. And if we’re lucky, one day we’ll thank our 25-year-old selves. Emily is a twenty-something public relations pro who has overcome the travel bug and is now encouraging others to live their best lives while working smarter towards things they believe it.